I woke up this morning to a fun little surprise in my inbox. Surprise might not be the right word as I knew this was coming, I just didn't know it would be today. A few months ago I was contacted by Open Kitchen Magazine. 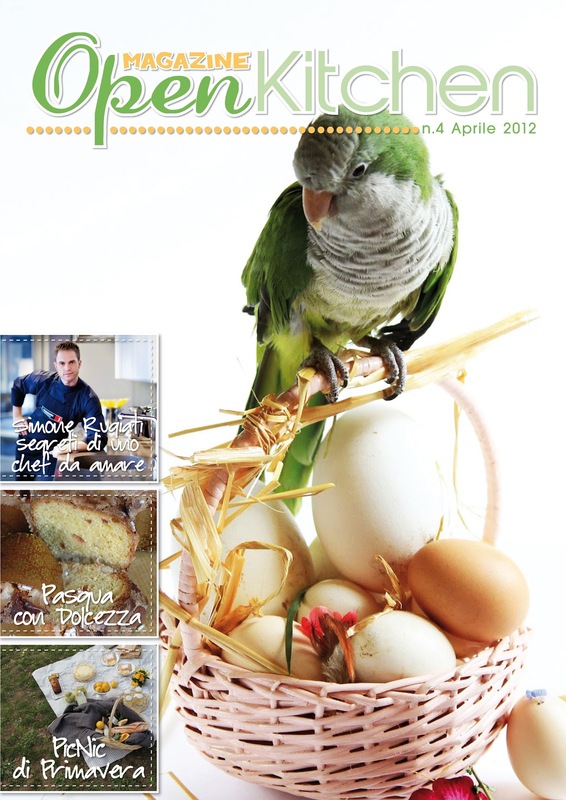 It is an Italian cooking magazine that is most beautifully designed. They asked me to be a guest contributor and so of course I said yes. They have featured the paper basket. Here's a link, (I think this will take you right to my pages) and on the very back page, page 103, you'll find my mug shot and mini bio too. It's all kind of exciting for me. I haven't read the whole magazine yet but from first glance there are some great features that are worth checking out. And, some delicious looking recipes too. I will be revisiting the article on picnicing and may just have to try the recipe on Lemon Cake. Yum! You might be scared away by the Italian but have no fear, they've put a translate button on their website and easy-peasy, you can read it in English. What a great way to start my day! Thanks Open Kitchen for including me in this months magazine! CONGRATS! Want to go check it out! And ty Open Kitchen Magazine for the link! I love this article and the magazine! It has been forever since I subscribed to a craft/cooking magazine, they have way to many advertisements, but not this one. There are so many great things in just this one issue that I can't wait to get my first copy.